Key Changes to Rules of Golf - 2109. One Month On How Familiar With Them Are You? 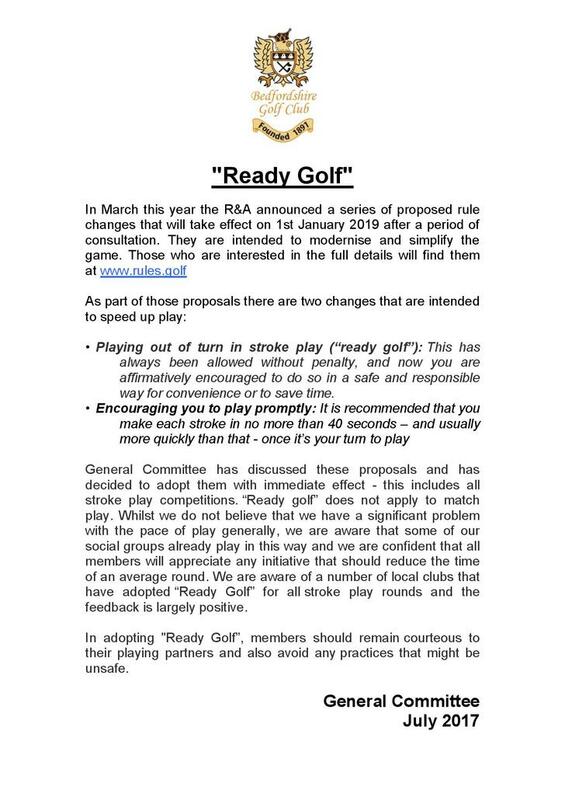 There are a number of key changes to the rules of golf with effect from January 2019, we strongly recommend that all golfers familiarise themselves with the changes as soon as possible. 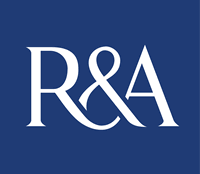 Please take copy of the 2019 players rule book available at the club, also please download the R&A 2019 rules of golf to your mobile phone or tablet for easy reference and help on understanding the new rules. The app is very useful and has an interactive rules quiz for beginners, intermediates and advanced levels which is excellent. In addition, the new BGC Local Rules can be downloaded via the links below. Some of the key changes are listed below to get you off the mark and be your starter for ten (or 20)! Further reminders will be posted over the coming weeks in advance of the launch as we realise that there is a lot of information to take on board. 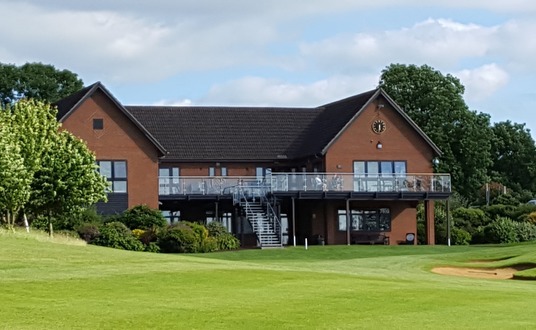 We encourage Members to watch the video and get a copy of the rule changes from the Clubhouse, so that you can all familiarise yourselves with the rule changes to avoid confusion during play once they have been implemented. 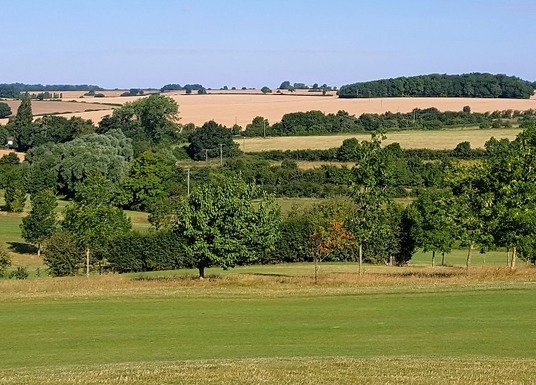 Bedfordshire Golf Club has also issued new LOCAL and TEMPORARY LOCAL rules which come into effect on the 1st January 2019. First tee - 3 & 4 ball games/matches only. Tenth tee - Singles and 2 ball games/matches only. 09.15 - 11.30 the opposite arrangements to those above will apply. From 11.30 onwards - no tee priorities apply. Please ensure that your group keeps up with the pace of play of the group in front. 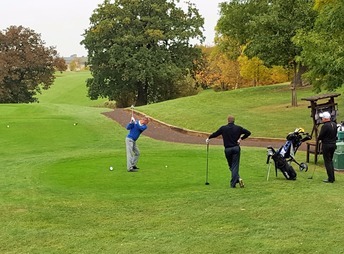 Normal golf etiquette is to call faster groups to play through at the first opportunity (regardless of the number of players in the group), particularly those playing formal Club competitions. This applies to all members - please adhere to this course etiquette. Due to abnormal ground conditions caused by the recent drought, relief is available for balls lying in or near cracks in the ground in closely mown areas. Relief can be taken for lie of ball, stance and area of intended swing, through the green. 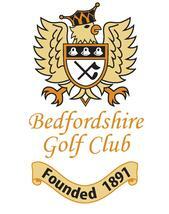 Bedfordshire Golf Club Rules, updated January 2018. You may have noticed a number of brown patches appearing on fairways recently. This is a result of treatment to kill off coarse grasses and encourage finer grasses. The spot treated areas are sprayed with a product called Rescue, which kills off the thicker broadleaf grass but allows the finer Fescue glass to grow back. Given the time of year the brown burnt looking areas are likely to remain through most of the winter, but they will recover as soon as new grass grows in the spring. Unfortunately though, it’s a little like pushing water up hill, as the coarser grasses are natural to the area and will continue to self set and reappear. Our fairways are however some of the best in the region so we shouldn't worry too much! The brown treated areas should be considered Ground Under Repair (GUR) and usual rules apply. Members should be aware that throughout the winter months, the clubhouse is usually closed earlier than it is during the summer. Although the actual closing time on a particular day will depend upon any scheduled events taking place within the clubhouse, it may be closed by 6pm. Please ensure belongings, including car keys, are not left in the clubhouse after this time. Reminder to all Members - If it's Still Dark - Please Don't Start! As the days grow shorter, members are reminded that they should not tee-off in the mornings until it is light enough to see well beyond the distance of a drive. On the first hole of the Stagsden Course, this means that unless you can see beyond the first bunker for whatever reason, you should not tee off! 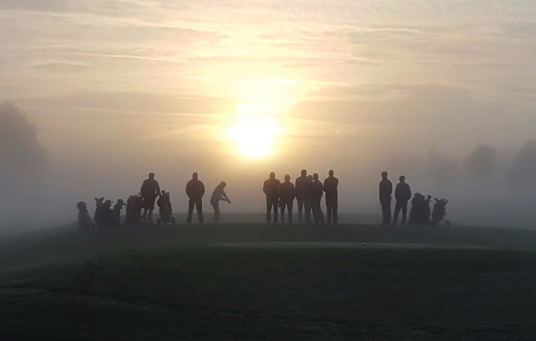 The courses are officially closed until first light as they are when foggy. The Greens Team have reported incidents recently of 'near-misses' whilst they are preparing the course for play before sunrise. At this time of year, the greens team start work in the dark to prepare the course for members to enjoy their golf from first light. Also, members must respect the club rule, that the greens team have priority on the course when they are working on it - at any time. Balls should not be played when a shot might reach them. We look forward to your full support on this issue. For update Local Rules - see 'Local (competition golf) Rules' link below. 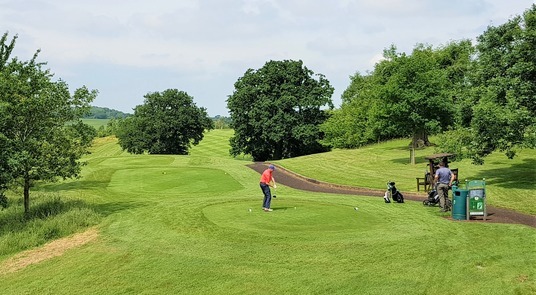 Members are reminded that the woods on the right of the 14th fairway are private land and entry for any reason is strictly prohibited. We have good relations with the landowner and it is therefore permitted to retrieve balls from the ditch immediately beyond the Out-of-Bounds' posts (where accessible). Beyond the ditch however, you should consider your ball 'lost' and irretrievable. 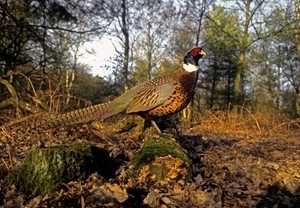 Aside from this land being privately owned, it is part of a Pheasant Shoot and guns are therefore used in the area. Clearly this poses a danger to life and entry onto this land is also strictly prohibited for this reason. Please click on the links below to find details on a wide variety of golf advisory information from the Club Rules to Course Etiquette and Staying Safe on the Course, for all users of the golf courses.